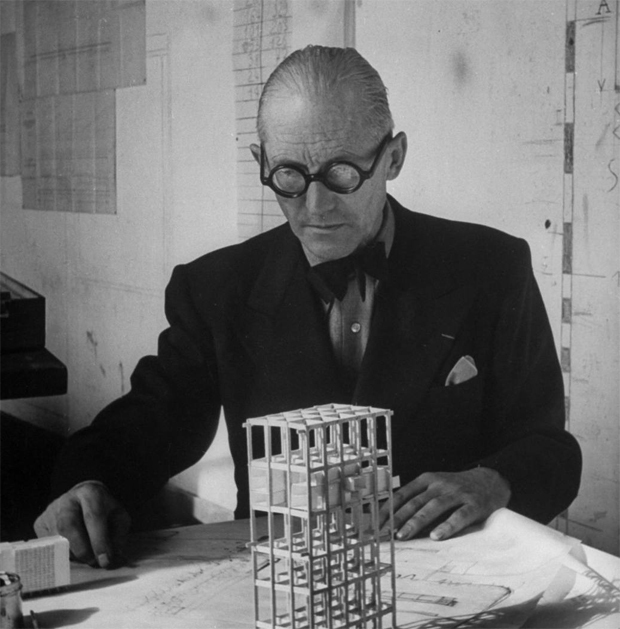 Those that live their lives by strict ideals will always divide the crowds, to many Le Corbusier is the greatest architect that ever lived and to others his arrogance oversaw his talent. What cannot be denied or plainly ignored however is his contribution to global architecture and his legacy that continues to inspire and allure countless generations. Upon the 125th anniversary of Le Corbusier’s birth Swissinfo explore the background behind the controversy though the medium of this captivaitng short film. A visionary designer that has been said to let his ambition get the better of him, Le Corbuiser formed allegiances with the far right politicians of France in the 1930’s, later collaborating on an urban project with members from the Nazi regime. Further down the line he broke all ties from these parties and a great number of experts have defended him, stating his intentions honourable with the attraction of getting his ideas commissioned his driving motivation. I’m convinced that the only truth in this will only ever be known by the man himself, however I find it hard to believe that an individual so passionate about developing architecture for the improvement of general society had such controversial views. Of course he was never too far away from a little controversy himself but this all seems somewhat extreme and hard to believe. One story that springs to mind regarding Le Corbusier is the time he took it upon himself to liberate Eileen Gray’s E-1027 house from its clinical minimalism with a collection of murals he painted. The designer was devastated and vowed never to return to the house again, apparently still fuming in her 90’s about this. It was known the Swiss designer had an infatuation with Eileen and perhaps this was his way of showing his feelings for her. What we must remember is that Le Corbuiser is not recognised as one of the most famous architects of all time because of all of this controversy, in fact he is recognised despite this. My gut feeling tells me that he was simply misinterpreted by the history books, but I will leave you all to watch the video below and make up your own mind on what to believe. If you would still like to learn more afterwards I can recommend the accompanying articles by Swiss-info via the link below – Enjoy!